You may be surprised to learn that the Odyssey Bookshop is not a destination solely for book buyers! We carry a wide range of cards and gift items for all ages and the selection changes regularly. And if there is something that you love that we don’t already carry, please drop in and chat with Emily, our gift buyer for the store, because she’s always interested in new ideas. 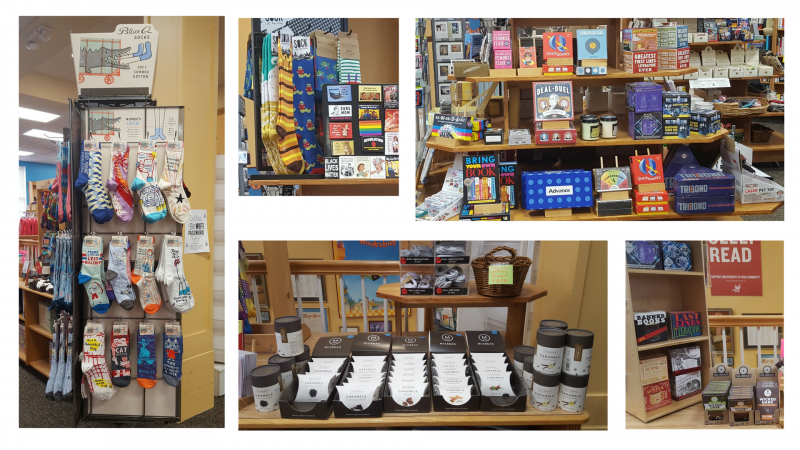 Because inventory changes so quickly with our gift items, there is no practical way for us to sell them all through our website, but here are some representative items we do carry. We have gift items in all price ranges, but most are in the $10-25 range. Please feel free to call, email, or stop by in person if you're looking for a little something extra beyond books – we’re always ready to answer questions or help you find the perfect gift!